Beginning in 2012, the Land of Sky Regional Council, ASAP, and UNC Asheville’s National Environmental Modeling and Analysis Center started working on a collaborative project to better understand what communities need to foster successful and sustainable local food system growth. Our findings provide a replicable model, though the stories told within these pages have a focus in Western North Carolina, specifically in the counties of Buncombe, Henderson, Haywood, Madison, and Transylvania. 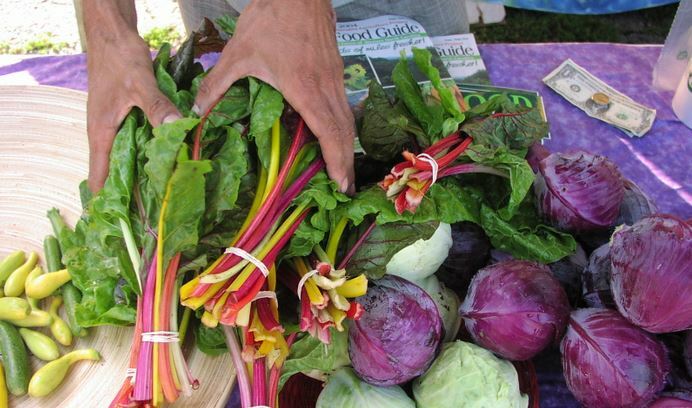 Local food systems work has become a prominent community development strategy, with government agencies, universities, and business associations endeavouring to understand how they too can benefit from local farmers feeding local residents. All over the country, investments of time and resources are transforming the way people think about food and where it comes from. Too often though, efforts to localize the food system only focus on the geographic and technological aspects of moving food. While the supply-side logistics and infrastructure of developing local food systems are important, without an engaged and supportive community investments in infrastructure often fail to live up to their promise. an equitable and fair food system that contributes to sustainable livelihoods by ensuring workers in the system receive fair compensation, and that all residents can easily acquire the food they need to live healthy, productive lives. The highlighted themes reflect on these three concepts, how they come to be, and detail why they are the cornerstone indicators of successful local food system development. As a bonus, thanks to the Land of Sky Map Viewer, readers have the opportunity to interact with the data and information explored in this project.